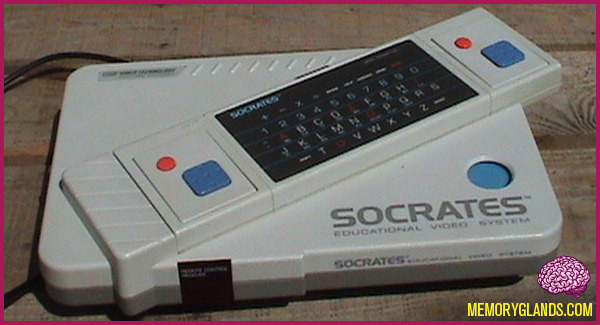 The VTech Socrates was an educational video game console released in 1988 by VTech. The console featured a robot character Socrates, named after the philosopher. The character is visually similar to Johnny Five from the Short Circuit movies. The system featured standard wireless controllers that communicated via infrared reception. In Germany, the system was sold by “Yeno” under the name “Prof. Weiss-Alles”.